Located in the heart of the village and overlooking its picturesque harbour, The Square At Porthleven is a wonderful place to sit, relax and enjoy the view. The brasserie‑style menu, warm welcome and relaxed atmosphere make for a perfect setting at which to enjoy a chilled lunch, a relaxed dinner or even just coffee and cake. And on warmer days, why not dine al‑fresco on our terrace whilst watching the boats come and go? We like to welcome everyone to The Square At Porthleven, so dogs are allowed to relax on our terrace. We also offer a healthy children’s menu, where our chef has created some special offerings with our younger diners in mind. Our ethos is “local is best”, and the menu changes daily according to what is available. All of our fish, shellfish, meats and vegetables are sourced from a selection of local suppliers. We also stock a variety of Cornish alcoholic and non‑alcoholic drinks. Alongside the restaurant, The Square Deli and Ice Cream Emporium has a selection of delicious offerings to take away. Our ice creams are all made on the premises using only natural flavourings, and the flavours change seasonally. We also offer a takeaway service on sandwiches, salads, cakes and hot and cold drinks throughout the day. Looking for a tasty delight to treat yourself or someone special? We stock a great variety of cheeses, charcuterie, olives and other foodie gifts. All our of ingredients and seasonal and locally sourced so our menu changes daily. Please see the links below for some sample menus to whet your appetite. 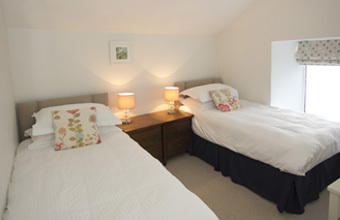 Our fully refurbished two‑bedroom flat is the perfect base for your visit to Cornwall. 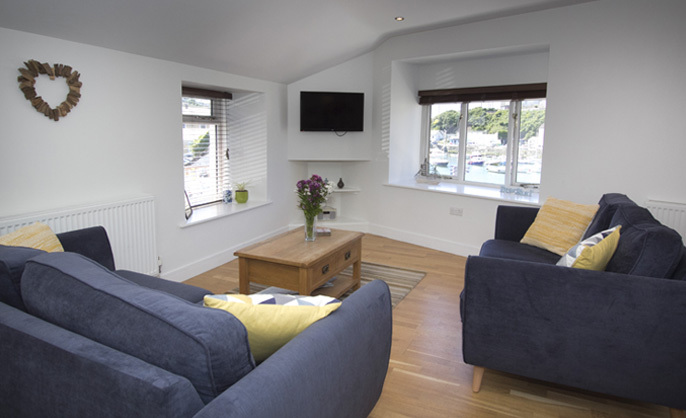 The Lookout comprises of a double bedroom, twin bedroom, shower room and an open‑plan kitchen, living and dining room, with spectacular views over Porthleven harbour. 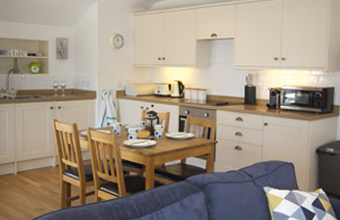 Enjoy the space and freedom in your own home‑from‑home, with a fully equipped kitchen and TV/DVD with Freeview in the sitting room – with everything provided to make your stay a pleasurable one. 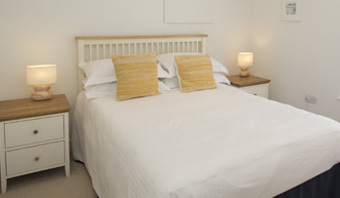 A cosy place to snuggle up in a winter storm and a cool retreat on a hot summer’s day. Long walks along the harbour and surrounding beaches or trips to see the sights of South West Cornwall. 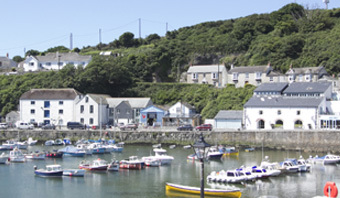 Whatever your choice, Porthleven is a perfect place to start. You can change your mind at any time by clicking the unsubscribe link in any email you receive from us, or by contacting us at info@thesquareatporthleven.co.uk. We will treat your information with respect. For more information about our privacy practices please visit our website. By clicking below, you agree that we may process your information in accordance with these terms.